Jacob Morton’s career path has been unusual, even for a New College of Florida graduate. 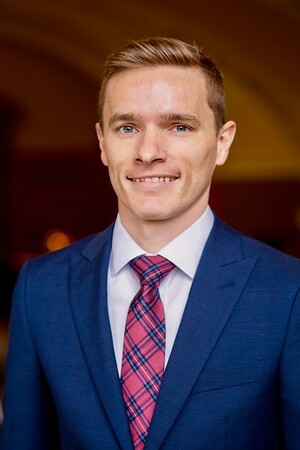 From a touring bass player, to an economics scholar, to a whiskey distillery, to law school – Jacob Morton’s path has been unusual, even for a New College of Florida graduate. Unusual, yes, and successful: Morton is in his first year at University of Pennsylvania, and he literally had his pick of some of the nation’s top law schools. He was admitted to almost every school where he had applied, including Duke, Cornell, Vanderbilt, Georgetown and Emory. Jacob Morton toured with bands including Nine Inch Nails, Gnarls Barkley and Modest Mouse. Morton thinks it may all have stemmed from his time at New College, where the coursework and unorthodox approach to learning helped him stand out from the crowd. That creativity had been on display for years. 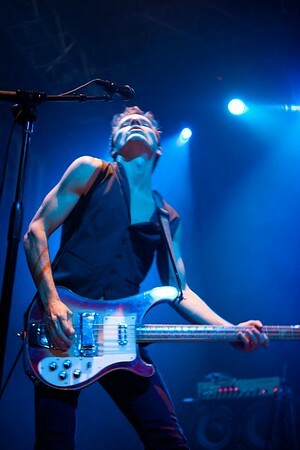 Morton had been touring across America playing bass guitar since he dropped out of high school. His mounting reputation as a musician led to him sharing the stage with Nine Inch Nails to Gnarls Barkley to Modest Mouse, but Morton was growing dissatisfied with the lifestyle of an entertainer. With this question in mind, Jacob entered New College in 2010 and began to study economics. He was immediately inspired. “New College required outside-the-box thinking – we were encouraged to read Marx and other non-mainstream economists,” Morton said. He coupled his studies in economics with an extra emphasis in math and graduated in 2013. So after graduation, Morton worked for Teach For America in Providence, Rhode Island, where he co-developed and implemented a five-week summer school math curriculum with other organization members. He taught 10th grade geometry and remedial math to seventh- and eighth-grade students and developed a passion helping other students succeed. After his term with Teach For America ended, Morton decided to pursue a law degree. He moved to Nashville to be with family and started studying for the Law School Admissions Test (LSAT). And then a unique opportunity presented itself. Corsair Distillery, which makes high-end, small batch whiskeys and other spirits, was looking for a business analytics specialist. Morton dropped off a resume and a letter saying he had no background in distilling, but had great quantitative skills and social skills. He got a meeting with the company’s president and a few days later had the job. “I quite literally put [New College economics professor] Dr. Khemraj’s statistics class to work. I was doing things no one else in the building knew how to do,” he said. In his free time, Morton studied for law school and starting applying. He treated the application process like a job and it paid off with a slew of acceptances. After some consideration, Morton chose University of Pennsylvania. “It felt like an excellent fit, like New College in a lot of ways,” Morton said. Morton is still deciding on a field of law to practice, but wants to combine his experience as an educator with his passion for giving. He is considering settling down in Pennsylvania to pursue his law career and life with his wife. His success started at New College, but he has continued to thrive because of his very flexible mindset. “If there’s one thing I’ve learned as a high school dropout, with some experience as a small business owner, a professional musician, and a high school teacher, it’s that you don’t always choose the paths you take in life,” Morton said.